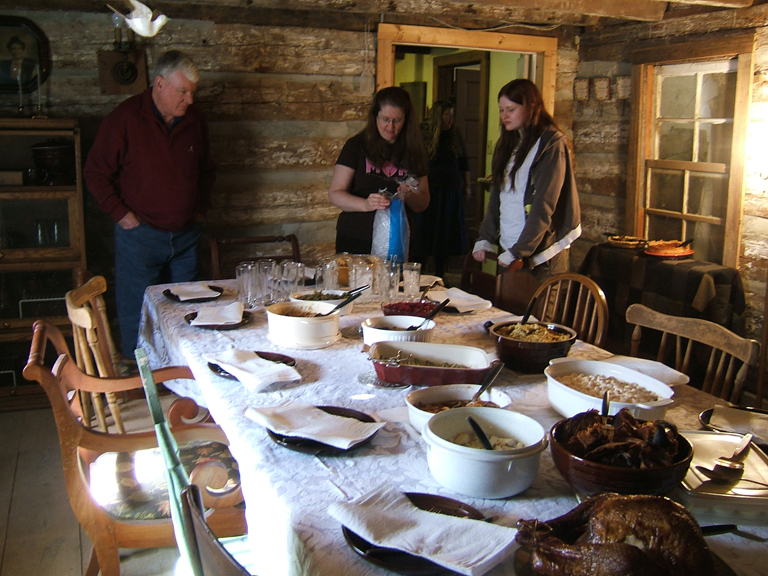 Here are a few pictures from Thanksgiving at my sister’s log cabin in the woods. 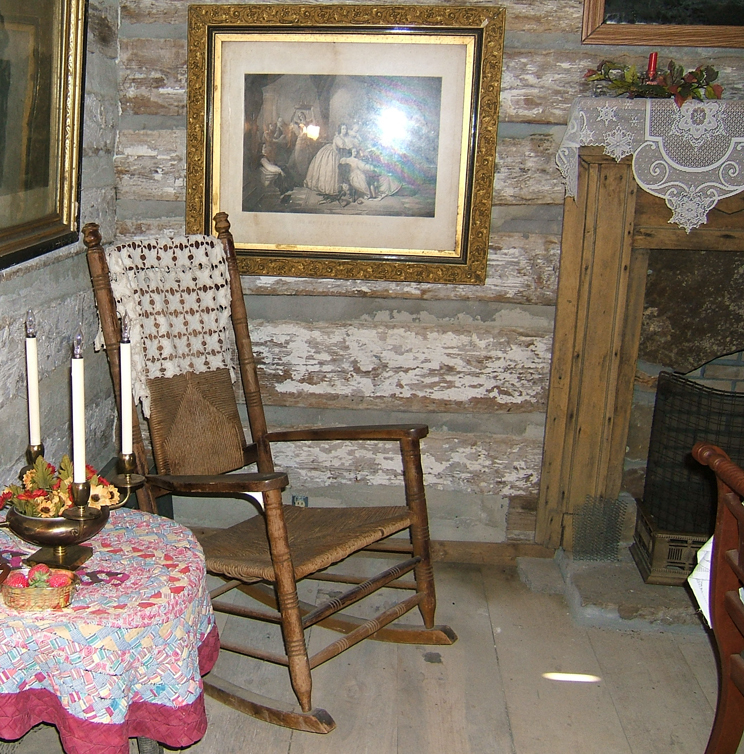 It was warm and cozy and festive inside, and food, stories and laughter filled the house. The table is set. The crowd is about ready to gather around. 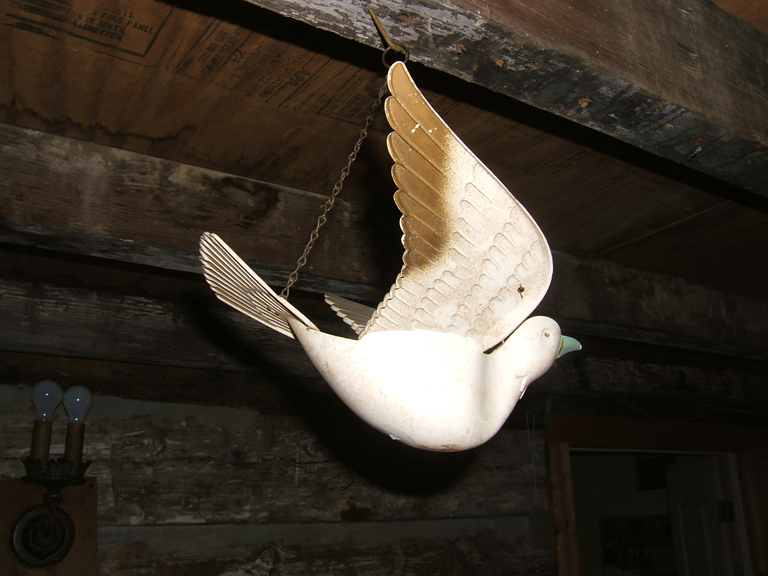 I love this whimsical folk art dove. This pie safe was built by hand by my brother-in-law, using wood from a big tree that he cut. The tin was hand punched by family members, a project that lasted over a period of two years. 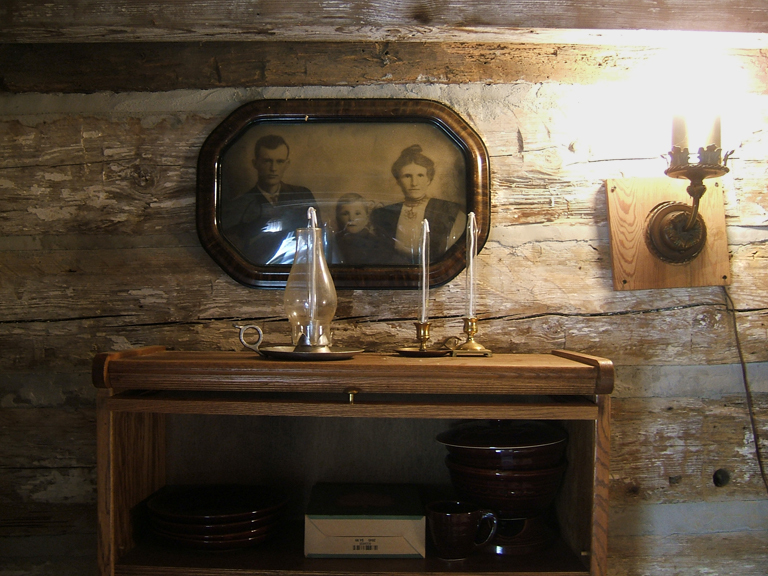 The portrait is of my grandparents and uncle. 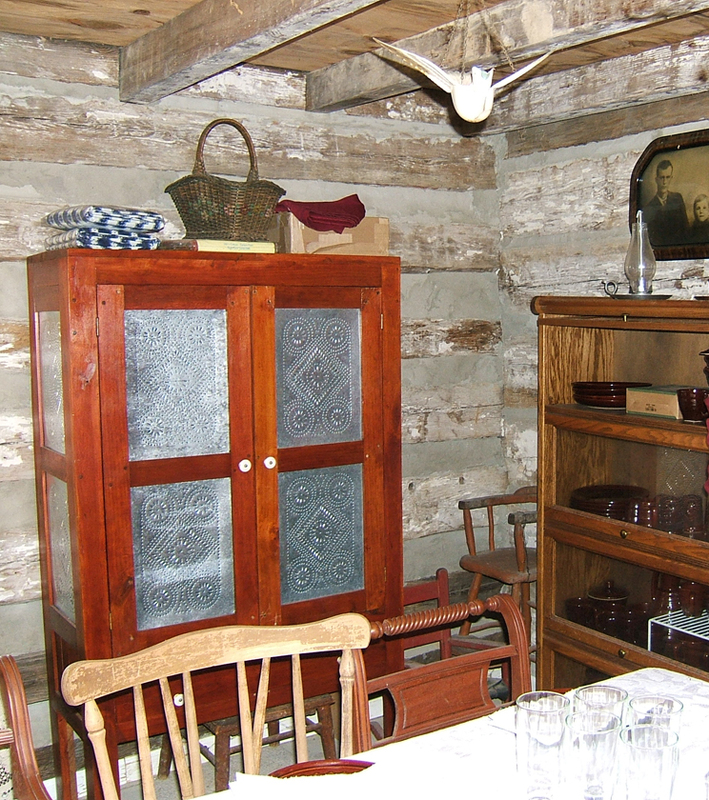 Here is the website that my niece created on the history of this amazing place. I hope everyone who celebrated Thanksgiving today enjoyed time with friends and family. Thank you for shareing part of your life and Thanksgiving with us. Please know that your enthuziasm for both Art and life is an inspiration to me.You take your place amongst the greats in this world and have a passion for giving , teaching,and helping others. One could only hope that life and work could parallel the dedication which you have shown as an artist and thinking,feeling human being. Eric, that is so humbling to hear. I can only hope to share a little bit of the same love for art and life that I’ve enjoyed through the years. I’m touched that it creates such a positive response from you. Thank you, Mary Fran. I’m so happy we reconnected, and I know I’ll be seeing you sometime soon. Can this romantic environment possibly be topped? Wish I was there!! The pictures look like you stepped back into the 19th century!! 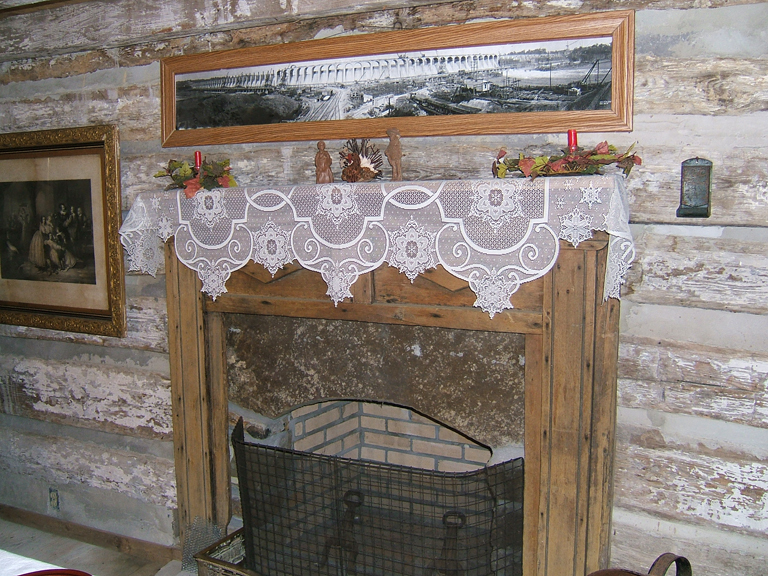 The stories those old logs could tell…!! Yes, for sure, Dina! I can’t wait for you to see it and feel it. WOW! 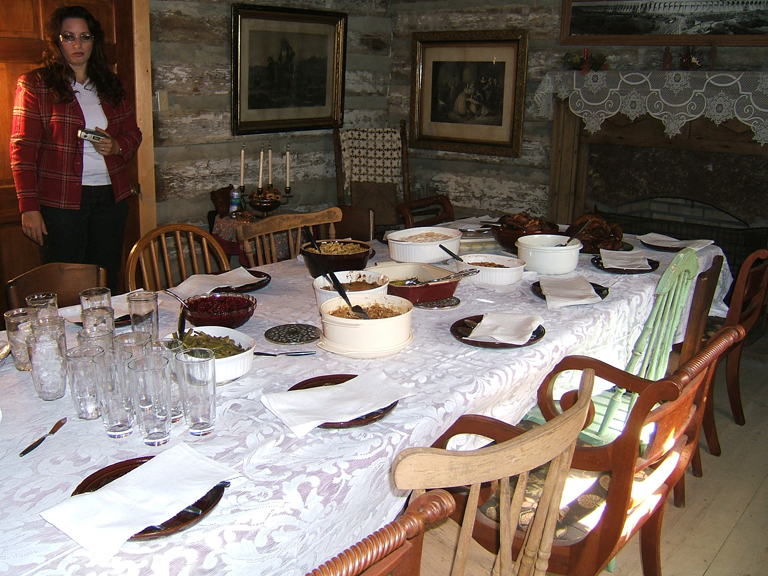 What a great place to have a Thanksgiving feast! So cozy and peaceful, thank you for sharing it with us!